PRODUCT DESCRIPTION: Water based enzymatic odor destroyer which works well at killing off smoke, dead body odors, pet smells, urine, feces, insect odor, pheromones, trailing scent and more. It works well when applied as close to the origin of the odor as possible but if you are not able to deliver it on top of this area it will work by being applied in surrounding areas. NNZ works by attaching it's molecules to the bad smell molecules and then diffuses them altogether. This will happen as long as the bad smell is available and the supply of the NNZ does not run out. When you are able to apply the material directly on where the odor originated from you will get immediate results. If you must apply it to peripheral locations expect to have to apply it a few times to get the desired results. NNZ does not mask odors or cover them up. NNZ can be shipped overnight if needed. 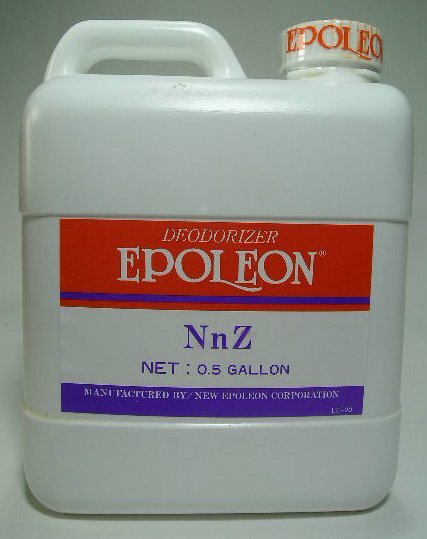 And keep in mind that NNZ is odorless which means you'll have immediate sense of the odor being removed. If you need a product that works like NNZ but has an light smell of it's own so you know you covered the area well, go with the N7C. WHERE TO USE IT: Attics, wall spaces, crawl spaces, floors, cement, under decks, on turf, on trees, on fences, on rocks, the side of a structure or house, etc. Pretty much anywhere you have an odor you want gone. And it's very safe to use around people and pets. Just keep them off the treated area till it dries and has a chance to work. WHAT TO APPLY IT WITH: Anything can be used including a mop, rag, PUMP SPRAYER, FOAMING TOOL or FOGGER. DEAD BODY ODOR: For dead body odor, applying it directly where the body was resting is ideal and will yield immediate results. ANIMAL TRAILS: For animal trail scent typically found around the home, spraying the homes siding and the ground leading up to the area will neutralize the smell so new animals won't be able find the trail. Animals which "mark" entry ways include rats, mice, chipmunks, flying squirrels, gray squirrels, raccoon, opossum and more. Spraying the homes exterior will help prevent new aimals from finding their way inside and is particularly helpful when the entry point to the home is unknown or if the home has had animal activity for many years. INSECT PHEROMONES: For invading or over wintering (hibernating) insects like stinkbugs, roaches, ants, ladybugs and more, NNz applied to the homes exterior will remove the pheromones these insects leave to "call" other insects. Remove the odor and you'll have less if any new invading during the summer and fall months. NNZ does not pose a hazard when used properly and can be reapplied as often as is necessary to defeat the offensive smell. Remember you can also use NNZ with our FOAMING TOOL because it's water based. The Foaming Tool allows you to create a thick foam which can then be injected into any wall where you suspect a dead animal is decaying. The foam does a much better job of delivering the NNZ than does simply spraying the liquid into the wall void. And for large, open areas, using a FOGGER which will essentially "mist" the product is the way to go. If you don't want to purchase a Fogger outright, we do have a RENTAL FOGGER that can handle the job fine. RATE OF APPLICATION: Mix 12 oz of NNZ per gallon of water and use this to treat 800 sq/ft of surface area (a crawl space measuring 20' x 20' will have 400 sq/ft of floor and 400 sq/ft of ceiling so use 1 gallon of mixed NNZ to get this sized area properly treated). A 1/2 gallon jug will be able to treat up to 4,000 sq/ft. I am ordering NNZ Odor Neutralizer and a fogger for fogging an attic that was infested with squirrels and raccoons over the years. I have about 3500 sq ft of floor area in the attic. How much NNZ do I need to order for effective treatment? Also, do you rent the fogger turntable in addition to the fogger? Your plan is sound and I'm certain the NNZ will do the job. And 1 jug should be plenty. Basically you'll mix up 8 oz of NNZ per gallon of water. Typically each mixed gallon can cover up to 400 sq/ft when applied as a liquid. That means 1 jug can cover up to 3200 sq/ft fine. But when using a fogging machine, you'll get up to 50% more coverage from the same amount of mixed NNZ. This happens because the misting machine tends to apply the material in a more uniform manner making the treatment work better even though the spray is spread out over a larger area. So if the area in question is wide open (which I expect it is), I would plan on fogging at least 6 gallons of mixed NNZ. And since you get up to 8 mixed gallons of spray per jug, you may decide to just use it all for the area which would be fine too. In other words, no need to worry about over applying it. So here's how I recommend you proceed. Start by letting the machine run in one direction for 1 minute at a time and then turning it 45 degrees over and over until the entire gallon is pumped out. And I would repeat the process for 2 gallons straight and then let the attic sit for an hour or two to dry. I would then repeat by fogging another 2 gallons. So at that point you will have applied 4 gallons. I would then let the treatment sit for at least a half day. This way if there were any "bad" areas missed, you should be able to tell (via the smell) before doing the final applications and using up the rest of the NNZ. As for the turntable accessory; I'm sorry but we don't rent it. And yes, it would be helpful for this task. Basically it would do all the "turning" for you. But I can also say you don't need it to do a good job; it would just make the job a lot easier to have the machine automatically turning all the time. Here are links to the recommended machines for this task. The B&G can also be purchased; its very similar to the FM6309 in performance and specs and can handle all the same treatments too. Lastly, keep in mind that a fogging machine is a great way to do all kinds of pest control in and around the home. Personally its pretty much all I use at my house for mosquitoes, gnats, flies, spiders, ants, roaches, crickets and more. Any of the machines listed above will work great both inside and out in the yard and can really cut down on chemical costs as well as do a better job of treating so they will effectively pay for themselves in just a season or two of use. The NNZ will definitely help and if you're able to get everything sprayed, it will definitely diffuse the odor. We generally see instant results and in most cases, a single application can do the job. But the key is having everything accessible so the spray can get where the odor is active. Do this by exposing everything (which it sounds like you've done already) and if you liquid spray, be patient and thorough. Remember, the liquid must touch everything to do the job. That means if you're not able to reach all parts of where the odor is active equally, you might have lingering issues. And if you think this might happen, consider getting a Mini Fogger. They're easy to use and very good at equally distributing the NNz solution. By applying it as a mist, you won't miss anything and the odor will diffuse quickly for sure. We had a terrible problem with bats invading exterior parts of our log home. Though they did not get in the house, the smell did!! We hired a contractor to replace the facia boards, inspect and clean the mess. Here's what he said about NNZ… "Man that stuff really works!… The smell was so bad you couldn't hardly stand it… We sprayed the pi*s out of the area and the smell was instantly gone!!" NNZ is amazing !! I highly recommend it !! We bought a house this past August that has an aluminum sunroom addition that has berber carpet. The sunroom literally smells like dog poop. The house had been empty for years and groundhogs have been living under the sunroom. Also, the previous owners owned several dogs and there were several stains on the carpet. We had the carpet professionally cleaned before moving in hoping that would help. It hasn't. The only time you can't smell the feces odor is when all the windows in the sunroom are open. Now that Spring is here we are anxious to fix up the sunroom and use it. However, I don't want to put furniture out there until we have gotten rid of the odor. My husband is fighting me on removing the carpet. I don't think the carpet is the only problem though. I want to try your product and think we should fog the inside of the sunroom as well as treat underneath it. What would you recommend as the best method of treatment for underneath it? My husband does not listen to me and is talking about using a homemade concoction of coffee grounds and some other ingredients. He thinks cleaning the carpet again and wiping down the walls is all we need to do. HELP!!! I believe you are "spot on" regarding what's needed. Here's why. Odors will naturally migrate and move around. As they trans-locate, they can saturate a range of material including metal, wood, cement, etc. For this reason its highly likely the odor is now living on the walls, ceiling, subflooring under the carpet, etc. In this case you state the room is aluminum but is that the same material under the rug? If so, saturating the existing rug could allow the treatment to penetrate deep enough to cancel the odor lying underneath. But in most all cases, a thorough treatment of applying NNz to the flooring under the rug, the walls and then the ceiling would be smart. This is the only way you can safely assume all odor will be neutralized. Now if you want to replace the rug, you would be making a big mistake by not treating the flooring underneath before installing the new carpet. I say that because again, that subflooring is undoubtedly saturated with the odor molecules. And quite frankly, I'm not even 100% sure saturating the existing rug would ensure the odor is killed underneath. In other words, even if you wish to save the berber carpet, removing it and treating underneath would no doubt be well worth the time and effort. By removing it, you'll be able to deliver a lot of spray underneath and this area could be the most important needed treatment. As for the space under this room; saturating it from ground to the subfloor above would be smart. Lastly, whether you use a good sprayer or fogging machine to do the job won't matter. Assuming you have access to all surfaces and can get to all areas unimpeded, you should be able to deliver a liquid spray where it will be most needed. That being said, using a Mini Fogger would make the task easy saving a tremendous amount of time. And it would ensure uniform and equal coverage. But wiping everything down manually with a sponge or liquid spray would do just a well. The key here is coverage. Get everything covered at least once and I'm certain you'll see a huge improvement. Basically there is no reason why you won't be able to eliminate the odor once and for all. Nice product! The product works better than was explained. I hope I never need it again, but if I do, I know what to get and where to get it. The price is very reasonable and it was promptly shipped. Can the NNZ be used in a pump up garden sprayer? And what would be the mixing ratio? I'm interested in purchasing the product but need to know if it can be used in this kind of sprayer. 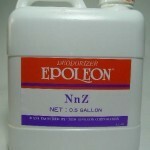 As detailed above, NNz can be applied pretty much anyway you want including a mop, rag, sponge, pump sprayer or fogger. Amazing Product! I recently ordered the NNZ odor neutralizer and could not be more pleased! I had a horrendous odor in a rental property that nothing would impact. My pest control man told me the odor was from an infestation of German roaches. I found this product on line, ordered it, and quite frankly didn't believe it would truly eradicate the odor, but it did! I had tried many things to eradicate this odor, but the NNZ is the only thing that was effective. I HIGHLY RECOMMEND this product for any tough odors! working well so far. I hope when summer comes around the smell does not return. I was surprised when using the fogger with the neutralizer spray that I didn't smell a strong odor from it. Most sprays will try to "cover up" the odor problem. This one didn't. I can tell a difference. I'm still using the product in an "old" building so time will tell.